Sharing some of my top picks from Shein right now! These all have one thing in common ... COMFORT. I'm all for cozy outfits, especially since Fall is around the corner. 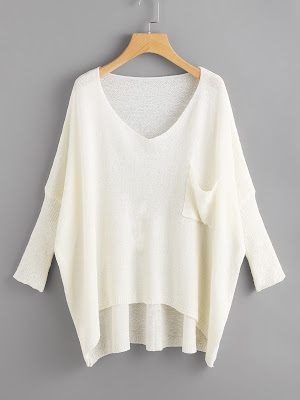 These are great for wearing at home on lazy days - but all cute enough to incorporate into everyday outfits! 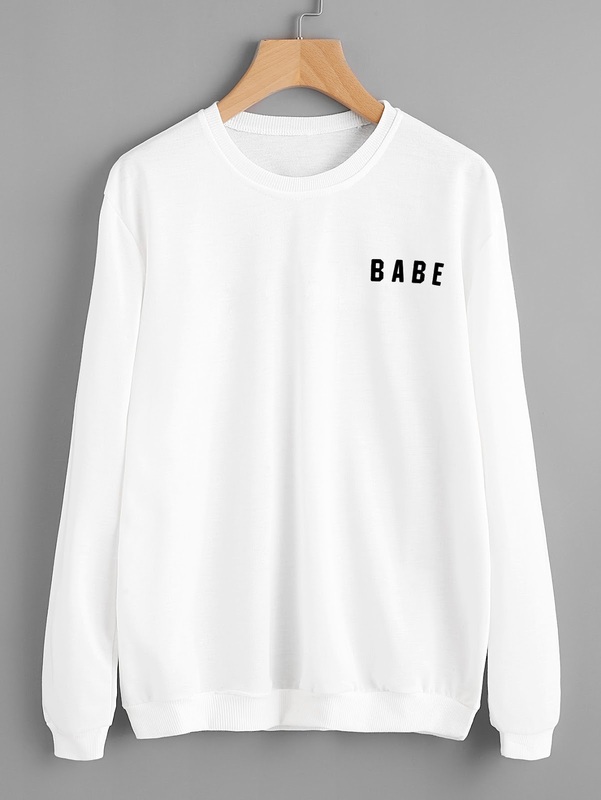 BABE Pull over - perfect with leggings and nikes or for throwing on before/after the gym! 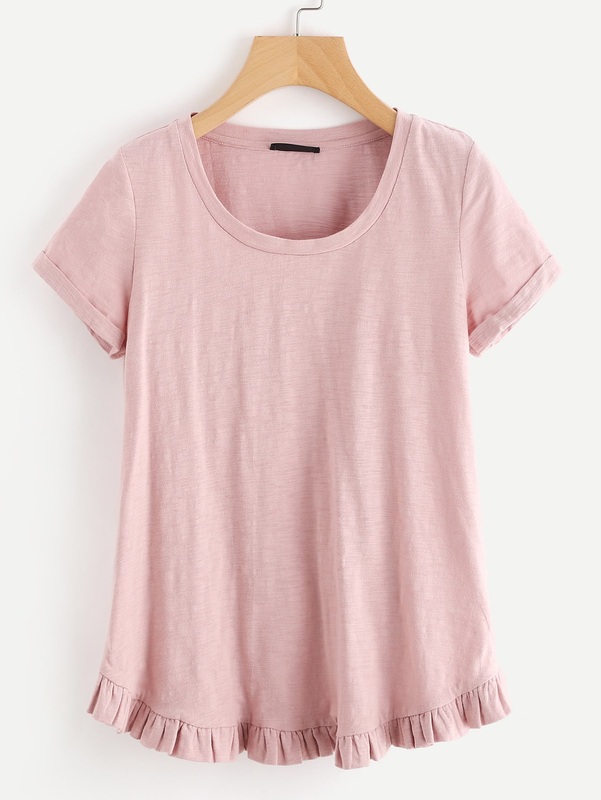 Ruffle Tee (Also comes in Grey and white) - this hemline would look so cute peeking out of a moto jacket with some skinny jeans! I'd probably go with White or Grey for Fall. 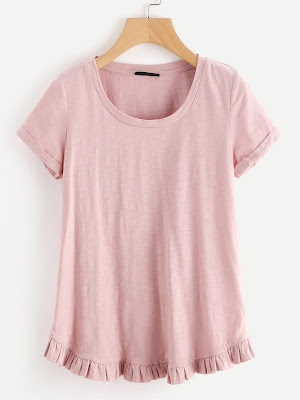 This Pink is pretty though too. Loose layering sweater (comes in Black) - The perfect match for your leggings and booties. 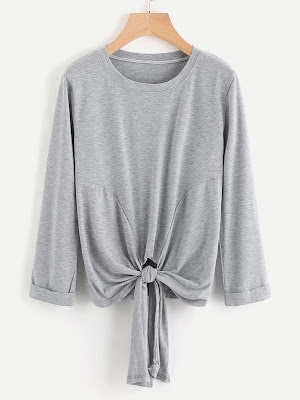 Grey tie pull over - would be so cute with dark wash jeans and booties. Also great for a leggings and sneakers/converse kind of day! Ps. I hope you don't mind me leaving this here, I wanted to take the opportunity to recognize you with The Blogger Recognition Award on my blog. Check it out if you have a chance.